Everyone here at Evergreen Nursery started out as a beginner gardener at some point and needed help and ideas from more experienced gardeners or nursery experts to help us get going. We’ve got you covered! Whether you’re new to gardening, short on time, or an avid gardener with a lot to maintain already, everyone can appreciate plants that demand a little less attention. Here are a few of our picks for plants that are proven performers, even given little time and effort. Be sure to find the right location of sun or shade and set up a sprinkler schedule or reminder for watering times. Impatiens: Although delicate looking, impatiens need little more than a shady spot and regular water. They are prolific bloomers and don’t require deadheading. Here in our mild climate they behave more like a perennial than an annual. Marigolds: With full sun and regular watering, these sunny pom poms will brighten your garden all summer long with shades of yellow and gold. Cosmos: These daisy-like flowers are another easy-care annual that will bloom even in less than ideal soil conditions. Cosmos like full sun and are drought tolerant once established. 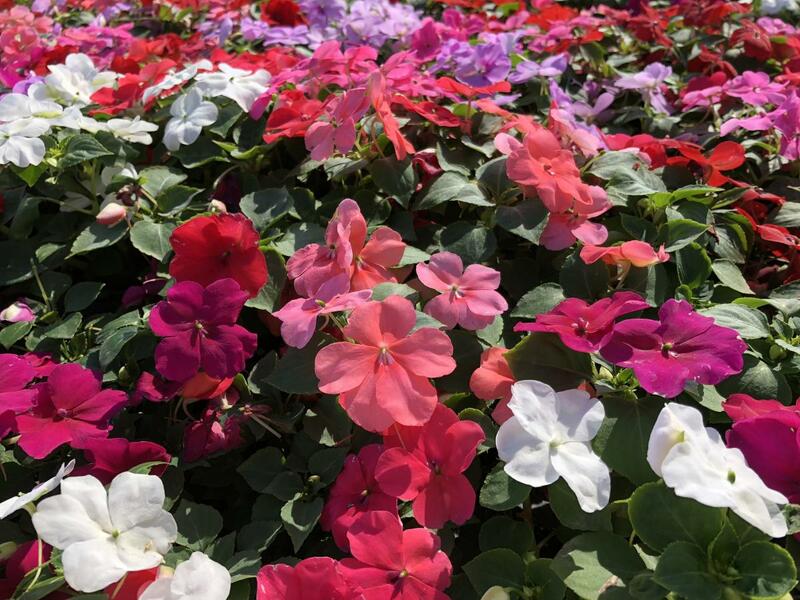 Geraniums: A favorite for window boxes and patio gardens, geraniums are also very low maintenance. They can grow quite large when planted directly in the ground, so be ready to give them enough space, or an occasional pruning. Daylilies: These bright and showy perennials are prolific bloomers that tolerate poor soil. As they multiply, they can be divided and the smaller sections relocated to fill in other areas of your garden. Portulaca: This flowering succulent has bright cactus-like flowers that don’t require deadheading. Plants thrive in high heat and full sun and tolerate poor soil. Knock Out Rose: This is the rose variety for anyone who wants to enjoy roses without all the fuss! Knock Outs are compact, highly disease resistant and require little pruning. Here at Evergreen we have a huge selection of Knock Out roses at wholesale prices. 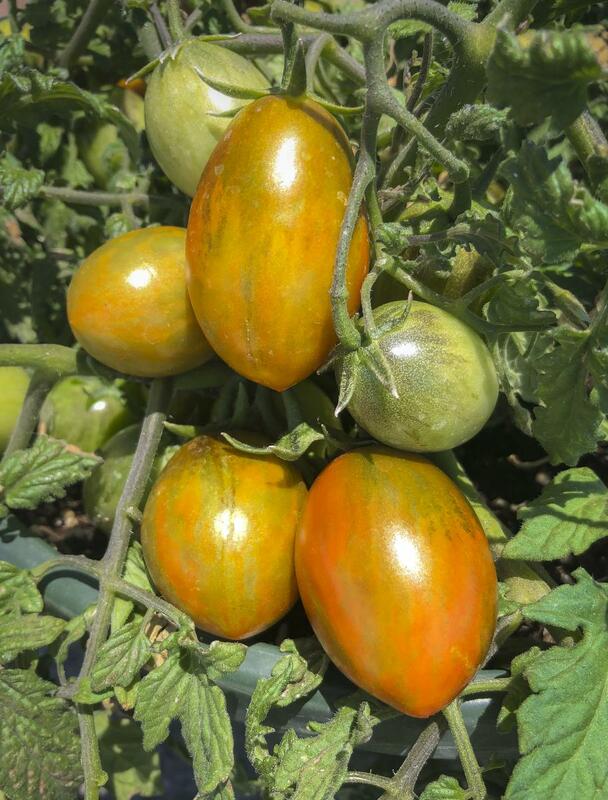 Tomatoes: Cherry or plum tomatoes are fast growing and easily grown in containers and baskets. One choice we like is Tumbling Tiger, with unique red and green striped fruit that’s protected by dense foliage. Little effort is required after planting…just pluck ripe fruit and enjoy! Summer Squash: Zucchini and yellow squash are fast growing and prolific! Set plants up in good soil in full sun and give regular watering, and you’ll be ready to enjoy harvesting within weeks. Peppers: San Diego has a great climate for growing chili peppers. They thrive in full sun and warm temperatures but will require a little more water in very hot areas. Tip: Chili peppers can be frozen fresh for later use, so you can’t have too many! Rosemary: You’ve probably seen this hardy plant growing all around San Diego County. There’s no reason to deny yourself this wonderful aromatic herb in your own yard or patio. Lemon Balm: A relative of mint, this herb literally grows like a weed, but such a lovely one! Lemon balm has many uses in cooking and herbal remedies and is touted for its stress-relieving properties. Grow it in pots to keep it from invading other areas of your garden. Eastern Redbud: This broadleaf deciduous tree produces beautiful pink blossoms in spring and is easy to grow without requiring too much water or attention. 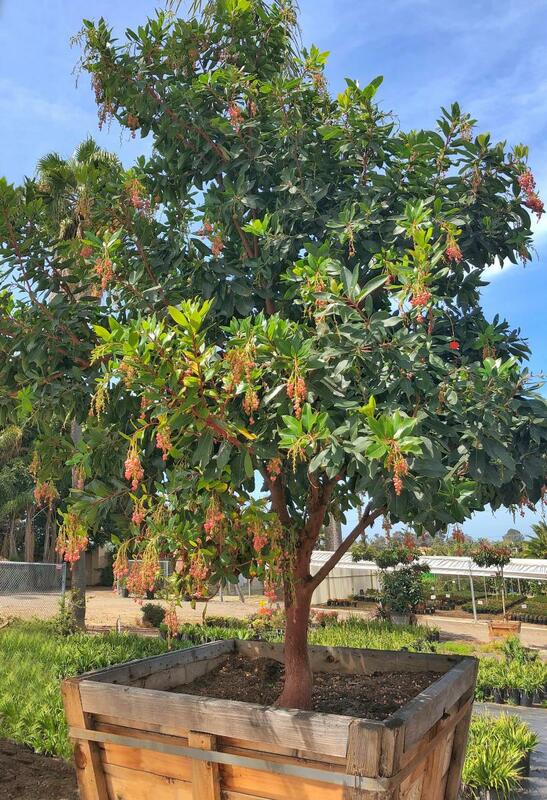 Marina Strawberry Tree: An easy to maintain evergreen with lovely pendant flowers and fruit as well as attractive, sculptural bark. Relatively slow growth requires minimal pruning. Citrus: Lemons, limes and calamondins are all easy to grow here in our sunshine state. Everbearing varieties produce flowers and fruit year-round, so once trees are established you’ll be rewarded with fresh fruit with less wait time! 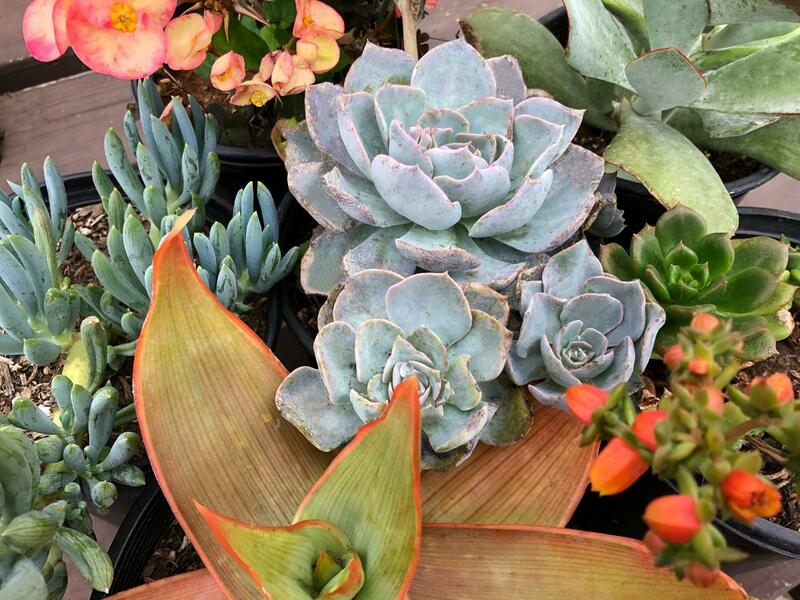 We have a huge selection of succulents here at Evergreen! Possibly the easiest of plants to grow, they come in so many colors and varieties they can be the foundation of a beautiful garden all on their own. Plant a small succulent garden in containers or allow them to grow freely in your landscape. For more suggestions on easy care plants, come visit us at Evergreen Nursery and let our experts guide you in your selection. We’ll have you green-thumbing it in no time!